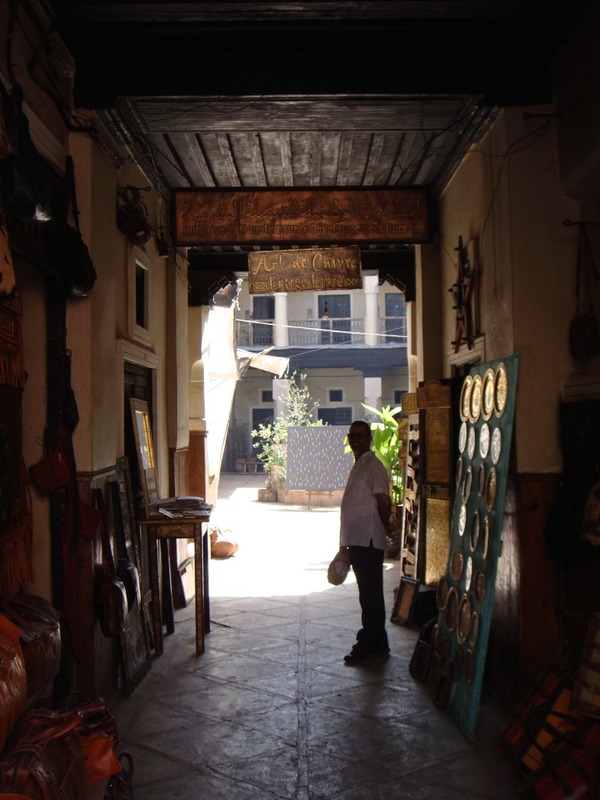 Before the 20th century, a Foundouk was a sort of mixed-use commercial property for travelers and merchants who came from across North Africa to trade – a hybrid of hotel and stable in the medina where animals (camels, donkeys, etc.) slept downstairs and people slept upstairs. There aren’t any middlemen in Foundouks; you deal directly with the artisan and pay less than than you would in the souks. One example is Foundouk Sarsar on Rue Mouassine (pictured below). This babouche maker sold me a pair of sky blue babouches I never wear. This entry was posted in guidé, Q & A. Bookmark the permalink.